We Offer High Quality Luxury Cars Priced Thousand Below Retail. We Offer Wholesale Prices To The Public. All Of Our Cars Are Purchased From New Car Stores And Are fully Serviced By The Dealer. All Service Records Are Available To Our Customers. We Are Completely Transparent. No Games ! No Gimmicks ! Simply Honest ! Simply Real ! 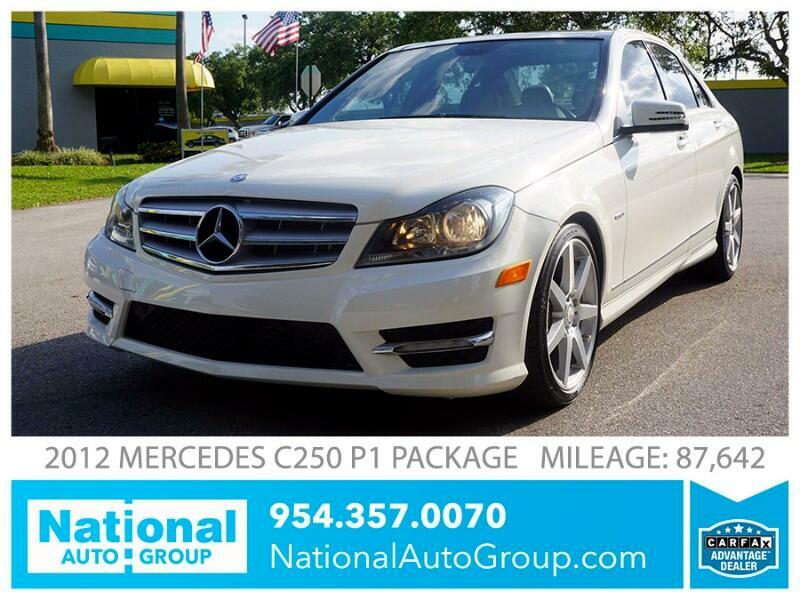 Come Check Out This Beautiful 2012 Mercedes C250 P1 Sport Package. This Vehicle Is In Amazing Condition Inside And Out, Low Miles, Very Well Maintained. Beautiful Two-Tone Interior Color Combination, Panoramic Glass Roof, AMG Sport Wheels & Body Kit. Priced $2,000 Below Retail. This Is A Great Deal For Anyone Looking For A Beautiful & Reliable Small Sport Sedan That Offers Luxury Along With Great Gas Mileage. - Price Advertised Is The Cash Price. - Financing Is Available For All Credit Types. - No Credit, New Credit, Bad Credit, We Welcome Everyone! Bring Your Driver's License, It’s That Easy!